I bought this set for my daughter and son-in-law as a housewarming gift. I told them I would buy them any pattern–it just had to be Liberty!! This is the pattern they chose and they love it. They are in their early 30’s, so the clean modern lines really appealed to them. I also ordered the hostess set for them. After 31 years with the same old flatwear I was on the hunt for a new set. 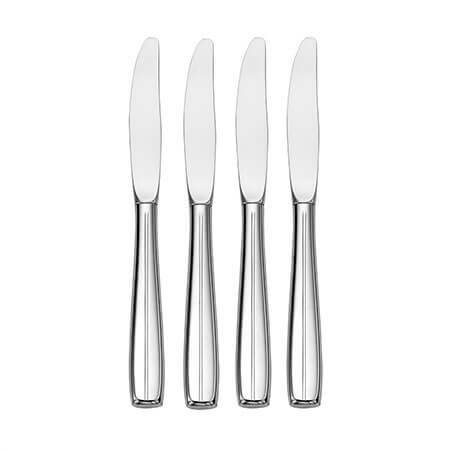 I wanted quality flatwear that could easily go from daily use to special dinners. My search ended when I googled flatwear made in the USA and found Liberty Tabletop. I was impressed with all the literature that was provided explaining the manufacturing process and the value of being USA made. I was won over by the many heart felt reviews and skipped ordering any samples. I took the plunge and ordered your 45 piece Cedarcrest set. The order was received 2 days after shipping in excellent condition, with each piece individually wrapped! My whole family loves the new flatwear. The size, weight and finish are perfect. Thank you Sherrill Mfg. for your excellent product and for remaining USA made! love that it ismade in america. My wife wanted new silverware, as the set we have been using was purchased with either Green stamps or Gold Bond stamps almost45 years ago! I thought the only options nowadays was flatware made in Asia. I almost purchased one of the usual suspects, but held off for a week. 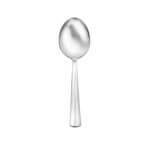 I then did a search for made in USA silverware and it brought up Libertytabletop. My first impression was the price. A lot higher. Then I looked at the different styles and liked what I saw. Then I read about their Green manufacturing , support for American workers, the quality and the fact if you lost a piece or two (we have in our existing set) you could replace them. I was sold. We settled on the Cedarcrest 45 pc set. WOW, no regrets. The pieces are so smooth ,shiny and the balance and strength are fabulous. We find the length just right. I am going to order the Cedarcrest 3 piece Hostess set next. As an aside, I have no issue with Asian workers. They are hardworking and want to support their families just as we do here. It is the American companies that move their manufacturing overseas, throwing American workers of the payroll, paying foreign labor pocket change with little Green or Safety regulations. The greed of these companies is obscene. This review is for the 45-piece Lexington set, not Cedarcrest (I ordered Cedarcrest, but called to change to Lexington). These are high-quality, well-made utensils. Overall I’m happy with the product, and happy to support Made-in-USA! 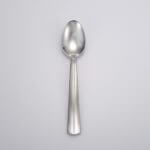 I would have given a 5 had the table spoons and teaspoons been made larger. They are a bit on the smaller size, so a 4 is about right. 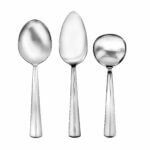 American made flatware at its best,so glad to have bought this for my daughter! 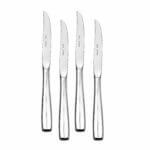 Excellant flatware you can feel and see the quality in each piece of flatware,so glad to still purchase a American made product! I didn’t want the smaller forks or spoons so Kim in customer service adjusted our order at no extra cost! We are beyond thrilled with the set. We know it’ll last us a lifetime, AND it’s gorgeous. Thank you. 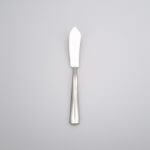 Each piece of flatware has a good weight to it. We are proud to have American made goods in our house and are thankful to the men and women who forged, shaped, packed, and delivered these to us. 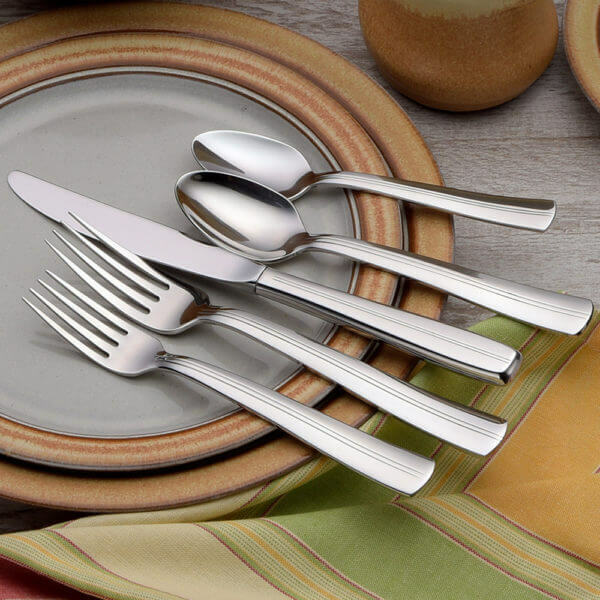 Cedarcrest is such a beautiful set of flatware. It is a heavy set, not what you generally find these days. It is a timeless design and yet simple. Can be used for everyday or special dinners. I’m buying sets for both daughters and another set for myself! alongside my square white plates. As many others have said, it’s fantastic to get such a great-quality product at a reasonable price and made in the USA! We couldn’t be happier with our purchase. Our order shipped almost immediately after we placed it, and arrived a few days later. They feel great in the hand, not too heavy, just right. 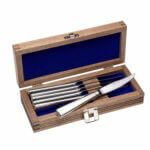 They are perfect for everyday use, while adding enough class for company. We are very proud of, and pleased with, our set! We are very pleased with the items that we ordered for our home. Hope to add to them in the near future. Additional bonus that it is made in the USA. Great service. Excellent and elegant dinnerware; medium weight and very attractive design. We’ll order more soon to increase quantity to 20 place settings. So thankful made in US! My son and his bride loved the pattern. I picked it from the website, it appeared to be modern but traditional. Love the fact that it is made in the USA..thats why I bought it. Every piece is hand polished, love the attention to detail and will add more pieces for special times. Congratulations on your wonderful company. I bought this as a gift for my daughter and she loves it. She loves the style and feel of the silverware. Thanks so much. I chose this company because it is made in the USA. 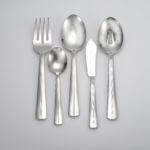 Lovely, Lovely flatware and, American made! I highly recommend Liberty products. I also ordered the Cedarcrest pattern and it is just beautiful! I also ordered 2 steak knife sets that were on sale and a a server set came as a special free gift with the flatware. They look beautiful and feel substantial in the hand. They do not feel or look cheap. Just loving my new flatware!!!! 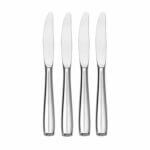 Love my new Cedarcrest flatware.It is simple and yet has an elegant feel when used. The best part, knowing that it was MADE IN THE USA. This was a Christmas present from my husband and we chose the pattern together. We have been very pleased so far. It is a more substantial in our hand and heavier than we expected it to be, but grew accustomed to it rather quickly. Having this American made was a priority to my husband and I am very glad it is too. We use the Cedarcrest pattern everyday. 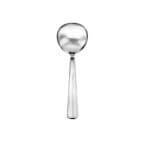 I found Liberty Tabletop after reading negative reviews of Oneida quality since they moved manufacturing overseas. We ordered samples, which confirmed our choice of the Cedarcrest pattern. The flatware arrived soon after ordering, and it has been a terrifc choice! I like the weight and the subtle pattern. 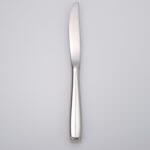 I highly recommend this flatware. 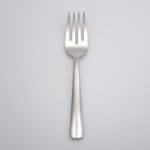 I researched flatware extensively on line and decided I wanted to buy American. I have found that goods made in the USA may be more expensive, (after all it should be, workers should be paid a living wage) the quality of the goods are almosts always infinitely superior. No exception here! Items were packed with care and shipped immediately. 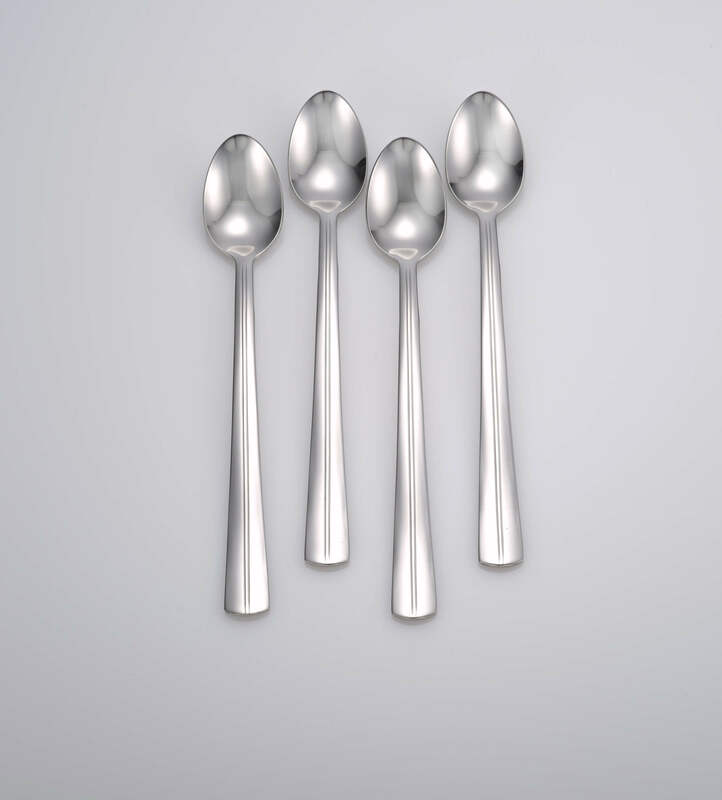 I asked for the service for 8 for Christmas and was so happy with it I purchased the service for 4 + teaspoons + the hostess set so I could have a full service for 12 set. 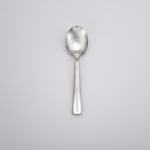 This flatware is so strong that you can scoop frozen icecream out with a teaspoon and it will not bend at all. I also cannot say enough good things about the knives. I love the hollow handles and they cut better than any dinner knife I’ve ever used. 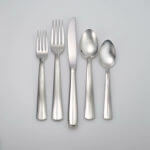 If you need flatware do not hesitate to purchase from this company. 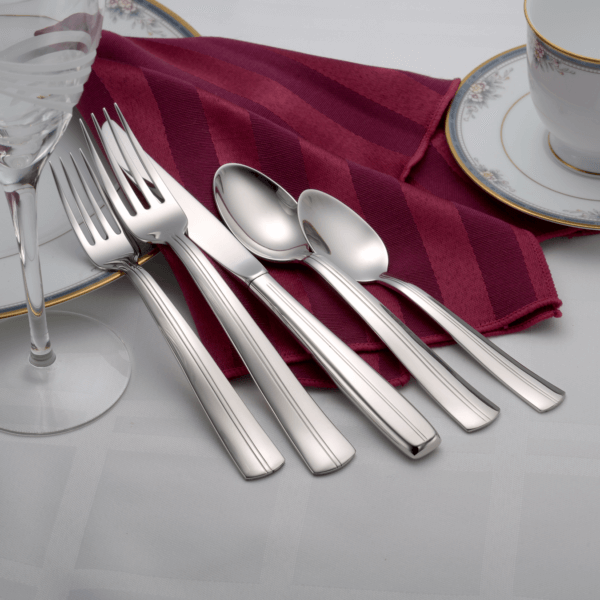 I wanted silverware made in the USA and waited a few years and purchased the cedarcrest pattern. Love the weight, feels great in my hand. Love the stylish pattern and how shiny it is. I have now purchased enough to use when my kids and grandkids are visiting. Also bought the baby set as a gift for someone to start their little one with a Made in USA gift! I was very impressed upon receiving my order of 12-place settings of the Cedarcrest pattern. Each piece feels solid and well-made, and I like the weight as well as the simple and sleek pattern. And, Liberty’s customer service is impeccable. Thanks so much. I ordered a Cedarcrest sample along with a Lexington sample. Everyone else just loved Lexington. I did too, but I kept coming back to my Cedarcrest piece. So when ordering time came, I ordered the Lexington 45 piece set, AND a 20 piece Cedarcrest just for me. I love both patterns. Its like jewelry you can mix and match! I am proud to be the owner of the Cedarcrest and pleased to have purchased a beautiful product made in the U.S.
We are retired military and supporting our U.S. companies is very important to us and we were excited when we found Liberty! We love our new flatware, we purchased the 65 piece set. It is exactly what we wanted, beautiful, sturdy, and it comes out of the dishwasher sparkling! Thank you so much Liberty! And a special thank you to Gina for her great customer service! I asked for cutlery made in the US or Canada and got these for Christmas. Love them! They’re comfortable to use with a nice weight. VERY nice!! We found Liberty in the nick of time – we were on the verge of spending a lot more to buy European stainless flatware because we were looking for superior quality and style. 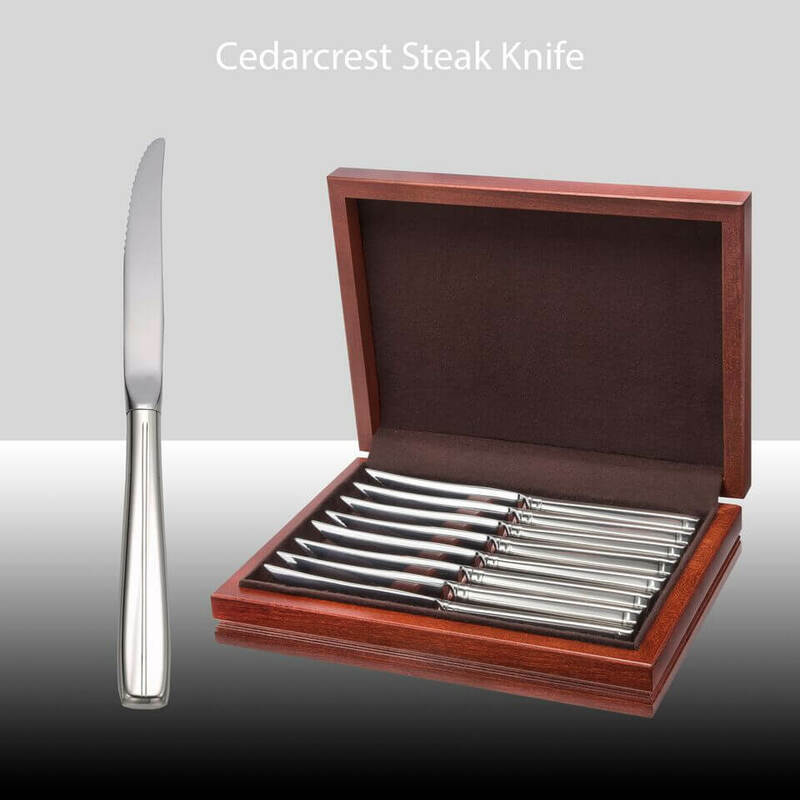 We purchased Cedarcrest service for 12 plus iced tea spoons and steak knives and are delighted with the appearance and quality. Pair it up with some American made dinnerware (yes, you can find it!) and you’ll be so proud of your table! 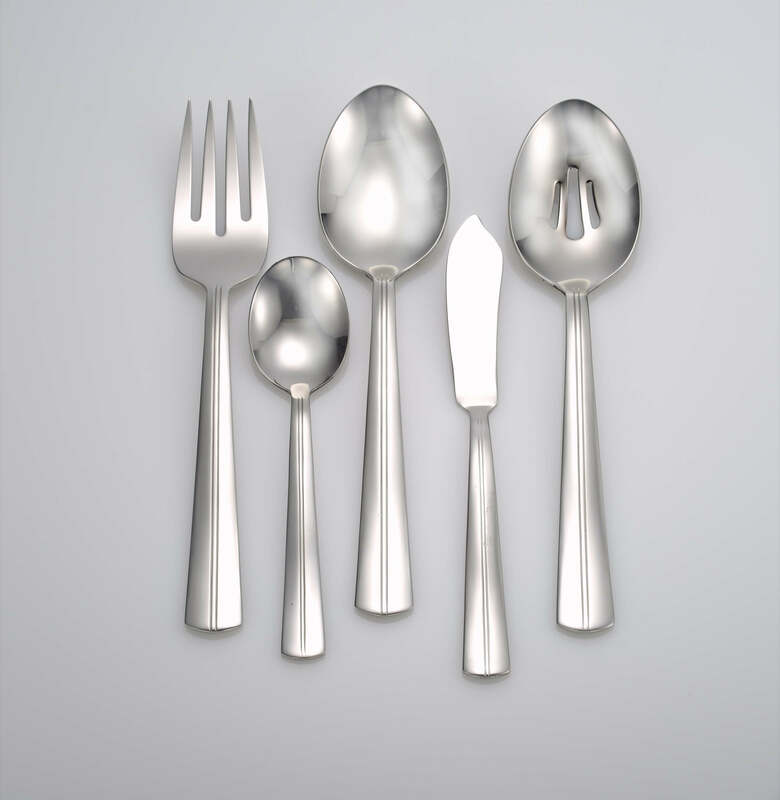 After visiting different stores looking for a stainless steel set of cutlery, I decided to check online and found liberty. Boy, are we glad. When we looked at the stuff made outside the US, they looked flimsy. 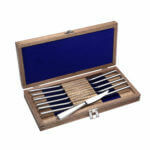 Our Cedarcrest set is strong looking, yet elegant, and extremely functional Our only regret is not buying a larger set. 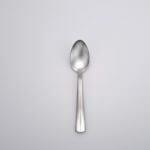 We could have used more teaspoons and forks. Great Quality! 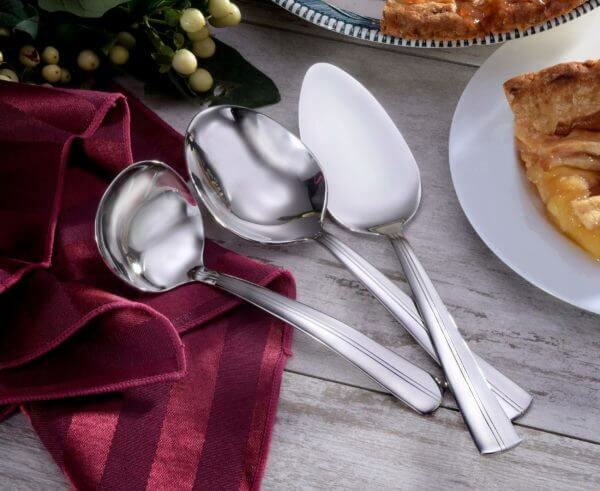 I wanted flatware for all occasions that has a nice “heft” to it. Also wanted to buy American. There was a problem with the forks so I called and they immediately sent me new ones with a return label. No problem. 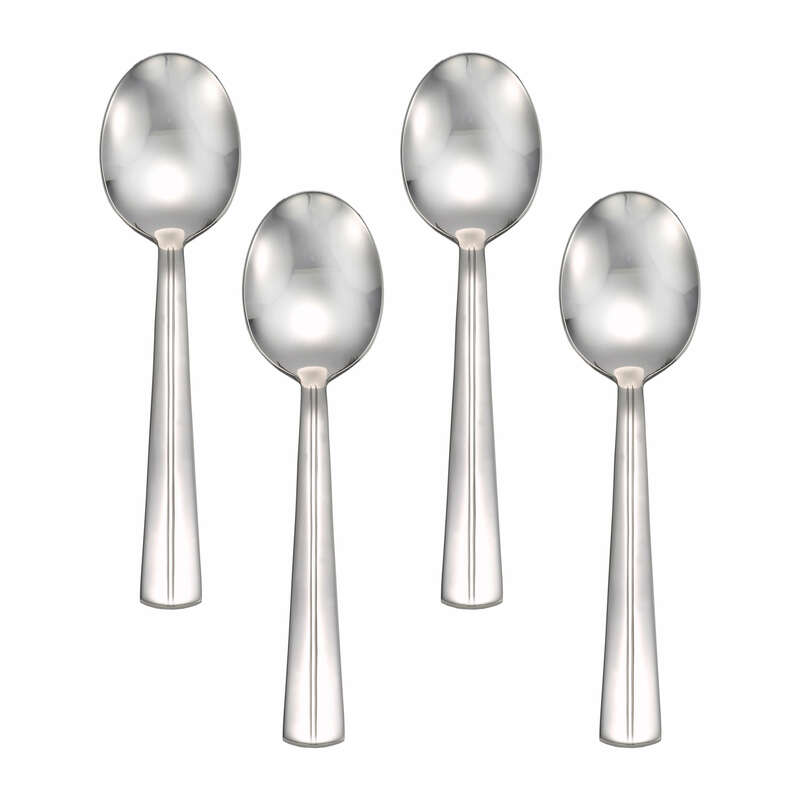 I have just ordered another service for 4 to give me service for 12, and two serving spoons. I purchased the Cedarcrest Pattern and am well pleased. 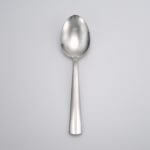 Have 2 suggestions: make the soup spoon larger and put USA on the back! Thanks! Glad to keep some Americans employed! 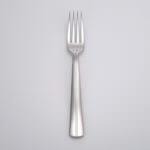 I found it hard to find good stainless steel flatware within my budget and made in the USA. However, I feel very fortunate that I came across Libertytable top. 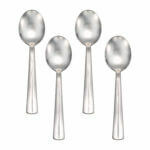 The flatware is sturdy, made of good stainless steel and manufactured in the USA. I also find it pleasing to the eye. I am very happy with my purchase of Cedarcrest 45 piece and sincerely do hope that Libertytable top are able to come up with more designs to keep up with the competition. When it was time to replace our flatware we researched first for a brand that was made in the U.S.A. I was surprised to learn the only brand is Liberty. I called and asked if there was anywhere I could see a sample. The person immediately told me that they could send a sample if we had a pattern we liked. 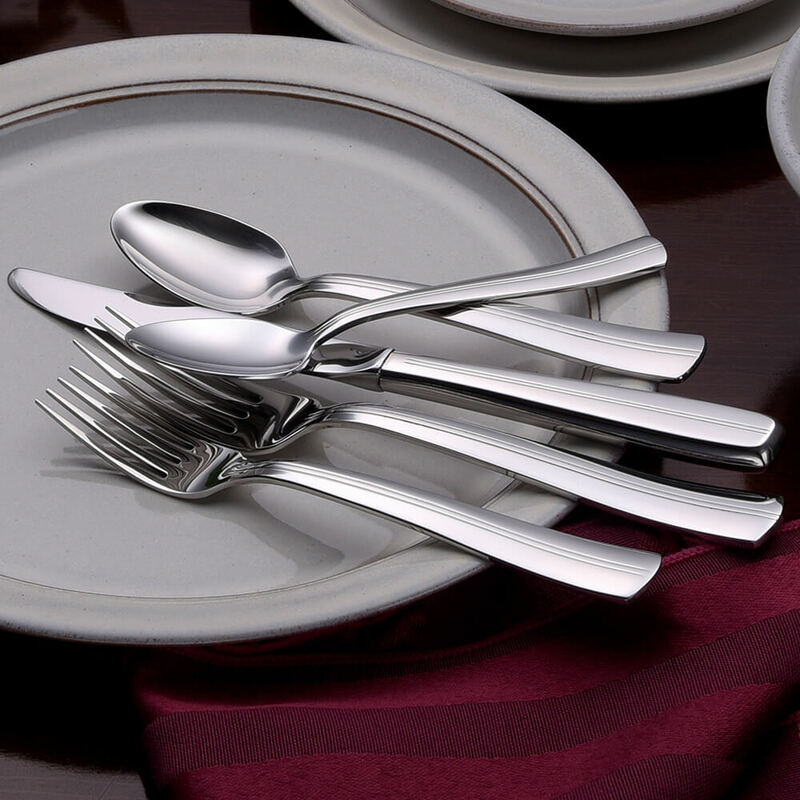 The flatware is easy to hold, feels great in our hands and comes out of the dishwasher looking great. 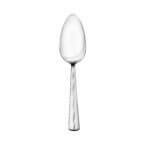 I have recommended your company to several of my friends who are looking for new flatware. We received this set as our anniversary gift from my father-in -law. My husband is a big time supporter of ”Made in USA” product and I can understand why. This product was upto the standard and much more. We love our set. A small suggestion I would give is to add a ”Made in USA” stamp in these flatwares. I had many requirements for my flatware purchase. I wanted something I could use daily and for special occasions, did not rust, felt substantial, could go in the dishwasher, looked beautiful and was made in America. This pattern from Liberty Tabletop exceeded my expectations. Everyone who has shared a meal at my home has complemented on my flatware and I brag on Liberty Tabletop every chance I get. 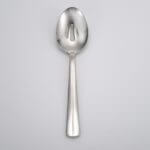 I hope they expand this line, I would love a gravy spoon and pie/cake server in the same pattern! 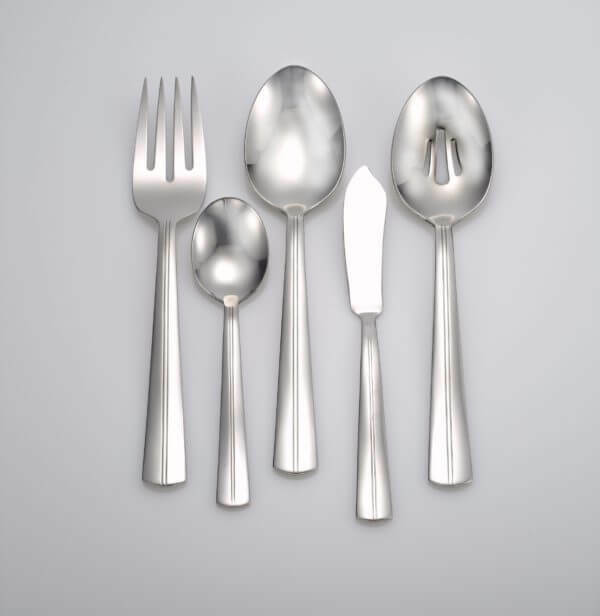 Searching for American made replacement flatware (my previous set lasted 32 years) I was amazed to find only one place to shop. 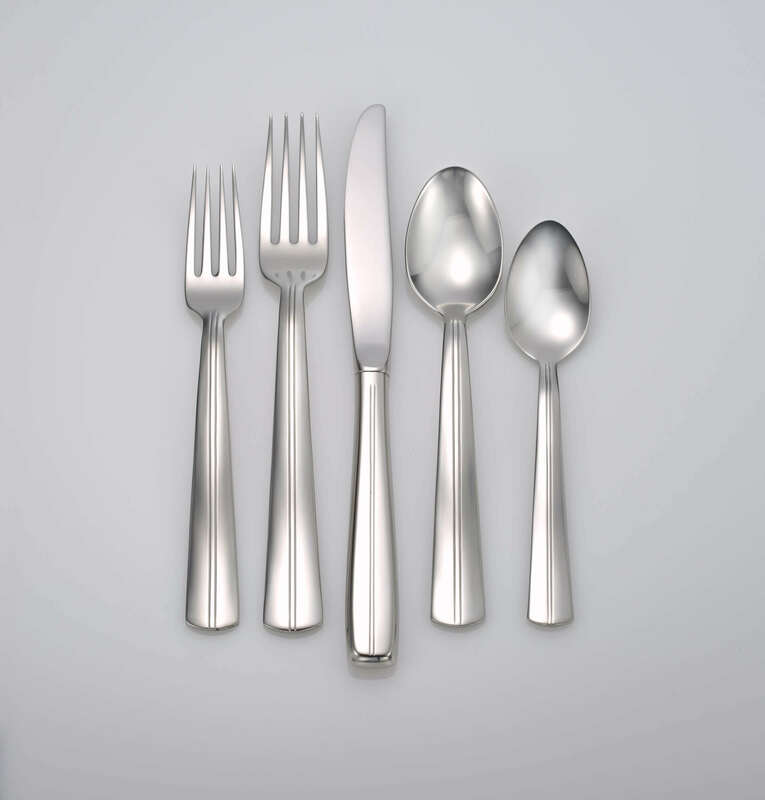 Very happy with Liberty quality and all who have seen flatware have been equally impressed. Seemed like they arrived overnight, too. Very lovely pattern. Modern yet classic…will never go out of style. And made beautifully in the USA! What could be better? Made in the U.S.A. what can I say? I expected quality flatware and that is what I received.